Sertego, a member of the Urbaser Group, is a leading company in environmental services for the industry sector. Its mission is to assure the integral and sustainable management of hazardous or non-hazardous industrial waste. It handles the collection, transport, treatment, processing and recovery of industrial waste to turn it into recycled products. The company handles all the phases of the management cycle, from collection and transport to the development of processes for the recovery, recycling, reclamation, regeneration and disposal of industrial waste. Sertego is a leading company in environmental services for the industry sector. Its mission is to assure the integral and sustainable management of hazardous or non-hazardous industrial waste. We handle all the phases of the management, collection, transport, treatment, processing and recovery cycle, converting industrial waste into recycled products and contributing to its inclusion in the cycle of the Circular Economy. Sertego has an operational and logistics network that covers the entire Iberian Peninsula and islands, allowing it to manage any type of waste anywhere in our territory. The waste is treated in 4 waste oil and lubricating base reclamation plants, in 3 MARPOL waste treatment and fuel sale facilities, and in 5 (hazardous and non-hazardous) industrial waste dumps. We also develop recovery and recycling treatments at other of our waste management facilities. Outside of Spain, it has a presence in Morocco. 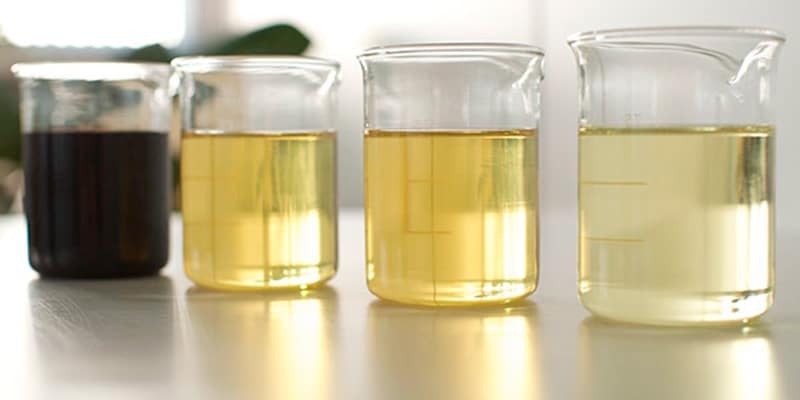 Regenerated lubricant bases: We are pioneers in the regeneration of used industrial oils in our country; we treat waste to obtain bases that become new types of industrial lubricants. Sertego focused its efforts on these treatments, creating regeneration plants even before the approval of Royal Decree 679/2006, of 2 June, which regulates the management of used industrial oils. Today we have 4 plants for the treatment and sale of regenerated lubricant bases located in strategic national points: Alfaro (La Rioja), Fuenlabrada (Madrid), Cartagena (Murcia) and Palos de la Frontera (Huelva). Recycled fuels: Sertego manages the collection and recycling of MARPOL fuels in more than 15 state-owned ports and in TANGER MED (Morocco), which makes us the leading company nationwide and a benchmark in terms of quality and management standards. MARPOL waste management stems from the International Convention for the Prevention of Pollution at Sea, MARPOL 73/78, an international convention applied to at least 97% of active ships, which obliges them to properly manage their waste and avoid dumping at sea. Sertego works with all types of MARPOL waste covered by the international convention, but our activity is mainly focused on MARPOL Annex I: bilge waste (basic port service) and tank washer waste. Waste collection and transport: Division dedicated to the management and treatment of hazardous and non-hazardous industrial waste. The team, made up of highly qualified workers, is organised into six delegations covering the entire national territory through transfer centres with a fleet of adapted vehicles. The service covers everything from the collection of the waste at the source, its classification and the minimisation of its volume, up to its delivery to the final manager. Sertego works in all industrial sectors, always using the latest technology, which allows us to ensure capillary waste collection through our own means adapted to each type of client and its specific requirements. Waste treatment and disposal: Division that deals with the treatment of industrial waste for subsequent disposal. Sertego has waste treatment and classification plants, as well as waste dump sites. The main areas of action of this service cover the industrial sectors of Paper and Cardboard, Automotive, Surface Treatment, Chemical and Rubber, Timber, Textile, Wind Turbines, Foundries, Construction, Shipbuilding, Services, Public Sector (municipalities and administrations) and Waste Management. Sertego has six facilities dedicated to the treatment of hazardous and non-hazardous industrial waste. The dump sites are controlled and managed under strict criteria that guarantee compliance with Royal Decree 1481/2001 and EC Decision 33/2003.